Join hundreds of ice fishing enthusiasts and Scorpion fans for the Cuyuna Lakes Chamber’s 15th Annual Ice Fishing Contest and Scorpion Homecoming on Saturday, February 2nd 12:00 – 3:00 p.m.
At only $10, ice fishing raffle tickets are incredibly affordable. Your raffle ticket also acts as your entry fee to fish, one ticket per hole. All sizes of fish are eligible for cold hard cash prizes. Come early, pick a hole. Raffle Ticket Prizes: 1st Place: Eskimo F1 Rocket 8” Ice auger; 2nd Place, Marcum VS485c Underwater camera; 3rd Place, Marcum M1 Flasher; 4th Place, Ice Runner Explorer Insulated Flip-over Fish House; 5th Place, Grand Casino Mille Lacs free room anytime and $30 dollars in food (any venue). 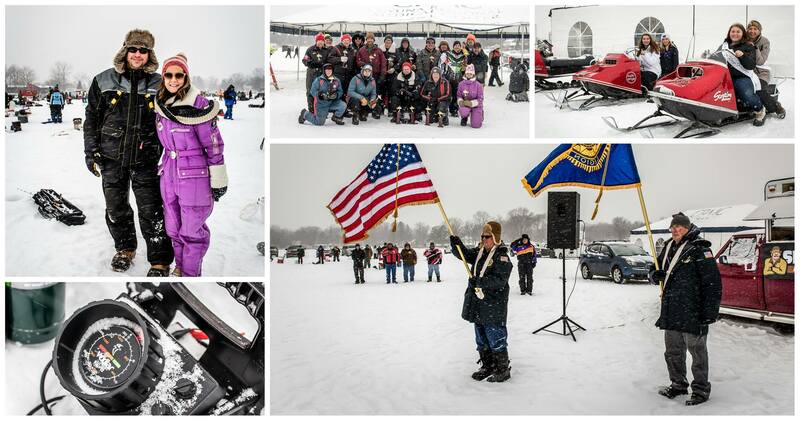 The event also features the Scorpion Stingerette, the industry’s first snowmobile designed specifically for women. All Stingerette’s for model years 1972-1974 are eligible. The Scorpion Homecoming has become an annual ritual for Scorpion collectors worldwide so make plans to attend now! Please use this Facebook event’s RSVP feature to assist the organizers planning. There will be an on-ice warming and hospitality tent available, courtesy of Cuyuna Regional Medical Center, http://www.cuyunamed.org. Additional logistical support provided by and the Sno-Serpents Snowmobile Club, http://www.snoserpents.com.